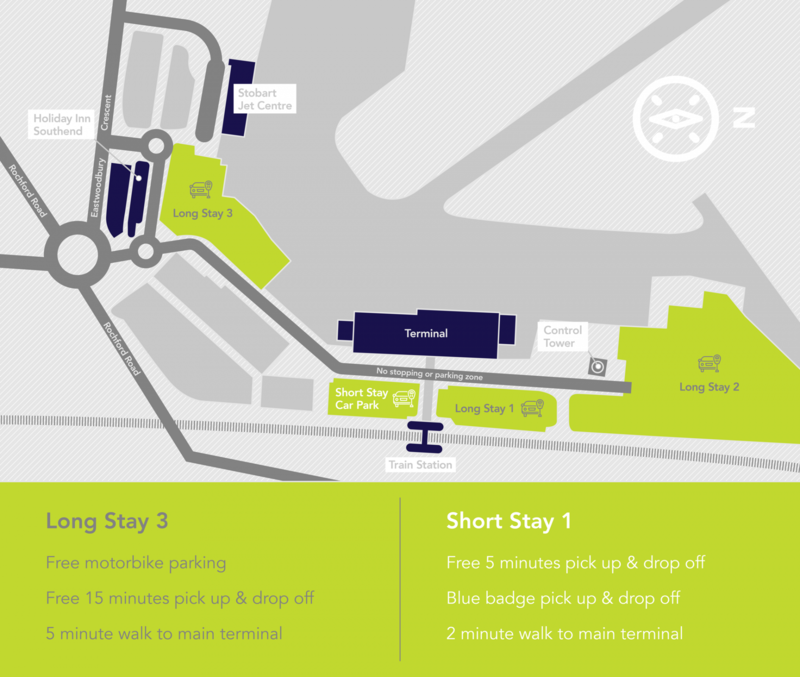 London Southend Airport is easy to get to and from by car across the south and east of England. We’re just 41 miles (61km) east of Central London, with quick connections to the motorway network via the M25. The A13 Road Widening Project starts in early 2019 and will involve a number of road restrictions on the A13 between Orsett and Stanford-le-Hope in Thurrock. For more information on their project visit the website and sign up to their newsletter. Take the A127 and follow signs for Southend. Take either the A12 or A13 and follow signs for Southend. Follow signs for the airport once you near the centre of Southend. If you’re using satnav, our postcode is SS2 6YF. Find out more about your parking options. The payment system for the Dartford Crossing is now online or postal only.